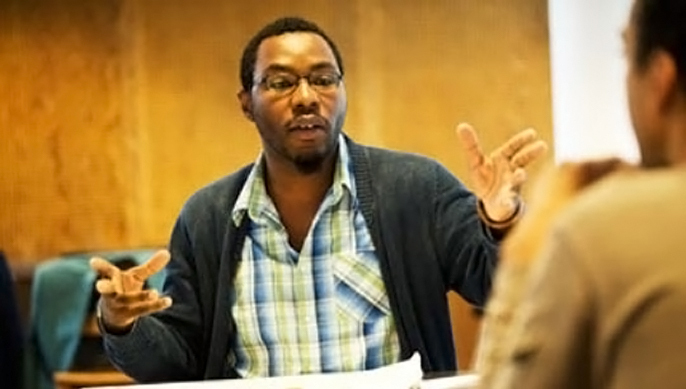 Gbolahan Obisesan personifies the future of Contemporary British Theatre. The intelligent, dedicated and incredibly talented young director has assisted on Random by Debbie Tucker Green at the Royal Court, Wole Soyinka's Death and the Kings Horseman at the National Theatre and the Olivier Award winning Impempe Yomlingo (The Magic Flute) at the Young Vic and Duke of York Theatre in the West End. He has also directed a number of his own productions and received the Jerwood Young Directors award which will see him taking the helm of Sus; a political drama by Barrie Keeffe set on the eve of Margaret Thatcher's election in 1979. Gbolahan – and his wonderfully prolific vocabulary – spent some time with Karla Williams to talk all about it. What attracted you to the Sus script in the first place? I was looking for a play with had a maximum of three characters and I seem to be coming across lots of two-handers and a few three-handers which were good, but felt as though I had seen it recently. So I sent a text to a few friends with an interest and knowledge of theatre to assist me in my search. I was immediately inundated with responses and I explored various recommended options, but the hardest one to find was a play called Sus. It was no longer in print, but another director, Lyndsey, was a member of the London Library and she was adamant that if this play existed it would be at the London Library. She helped me get into the library. I was there in the twentieth century plays section on the third floor determined to find my play. It felt like the one even before I'd located it and once I found it, I started reading it there and then and it was immensely gripping. Rehearsals are always exciting because you make a new discovery about the play every day. Rehearsals on the other hand can also be extremely challenging. The characters in this play are from contrasting worlds within the British social psyche of the time. These were the politics which we have to carefully consider in our depiction of the situations being played out in the play. Fortunately, I'm working with a great team of people [and] the actors especially are all really passionate about the play and committed to exploring the text. 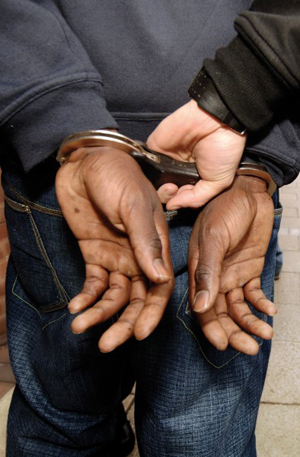 At present we're dealing with the commitment to institutional duty from the police officers against the line of empathetic humanity towards an isolated disenfranchised individual in the central character of Delroy Leon. So far everyday is paying off and I'm really looking forward to people coming to see what we've been working on. It's really exciting. Were you ever apprehensive about directing a play at the Young Vic? No way, the Young Vic is like a second home to me and a shrine for creativity ever since I decided I wanted to be a director. You have to understand that this is what I want to do and without a place like the young Vic and the Genesis Directors Programme I might not have had the courage to pursue this as a career. A chance like this at the beginning of my career is a complete blessing, a real humbling opportunity that will best serve my long reaching pursuits. How did you come to win the Jerwood Directors Award; explain to us how the selection process works. The application was primarily based on the choice of play that fulfilled the criteria of two or three actors and required a minimal set design to bring the production to life. After I had chosen the play, I then had to answer a series of questions in the application. After completing the application I then just had to wait to find out if I had been short listed. All short listed candidates [11 of us] had to attend a brief morning workshop with artist director David Lan and associates Matthew Dunster and Sue Emmas. In the afternoon we had to privately talk about our play and production vision individually in front of a panel of seven people including the aforementioned three directors and that was extremely nerve racking. We didn't really have that much of an insight into the selection process, but I was really pleased I was one of the two applicants awarded the Jerwood. Daljinder Singh has directed The Indian wants the Bronx and now it's my turn to direct SUS, which also transpires will be the last of the Jerwood Director Awards at the Young Vic. You have worked on some critically acclaimed plays including Random by Debbie Tucker Green at the Royal Court and Death and the Kings Horseman by Wole Soyinka at the National. What is the key to your success? I don't know the answer to this question, apart from being available and chosen to assist the directors of those productions was good timing and an invaluable experience for me. Random I guess came about because I had previously worked with Sacha Wares and Debbie Tucker Green on Generations which was a tragically beautiful production about generations of a family dying off from the AIDS virus in South Africa and produced in the Maria at the Young Vic. When asked to assist Sacha on Random, I felt like I had earned the trust of this formidable team and was now being accepted into one of the most exciting creative partnerships in British theatre and to be a part of it was a real honour. Working on Death and the Kings Horseman with Rufus Norris came about because I was on six month bursary as director in residence at the National Theatre Studio till January this year. As soon as I heard the play was being produced I went to the studio associate Gareth Machin and throw my name in the hat. Being Nigerian and Yoruba, Wole Soyinka's a real cultural icon who I admired greatly, so potentially being able to be a part of bringing his play to life was extremely exciting. Wole Soyinka is so internationally renowned that as soon as the play was announced there was a real infectious excitement from everyone in the industry at the prospect of being a part of the production. What advice would you give to people who want to follow in your footsteps and becoming a director? I would just say follow your heart and be honest with yourself about the reasons you want to be a director. One of the best things you can try to do quite early is to define your theatrical interest regarding what type of work you're interested in exploring – classical, contemporary, translations, devised, children's theatre etc. I would also say expect to work hard for very little or no rewards for a long duration of time and if you don't have resentment towards your work or the people around you then you know that you're in it for the long run. Theatre is not a quick fix, for many people it's a career and most people in it spend most of their time going to see shows and acquiring new skills or ways of working that keeps them motivated and inspired. Some directors are known for their process and others adapt their process depending on what the piece is about or what they want that particular production to represent and if you're thinking what's a director's process, then that's a good bug to have. Whether it's by going to university, a specialised theatre school or through workshops at a place like the Young Vic or gaining on the job experiences as an assistant – stay humbled by those around you and respect yours and others' pursuit of the directors' craft. You are also a playwright; can we expect more plays from you any time soon? Yeah I'm still writing and trying my best to get my next play produced at a reputable theatre in London - Isn't everybody? I say London primarily because the city has dominated my life experiences so far, so the few plays I've written so far have been located in communities I'm familiar with in the city; although I don't rule out having a play at a regional venue or even in another country if the story or the message behind it is considered universally relevant. What are your plans once you've finished working on Sus? I'll spend time thinking about it for a bit – the production that is, then carry on to the next project. Finally, why should people come and see your play? Sus is an important brilliant play by a really strong perceptive British playwright. It also has a brilliant cast and dare I say it a compassionate political spirit.